Regardless of what the figures say about the results; this is in fact the rulership of those who lost and are destined to lose. Historical examples have shown that a weak rulership is more oppressive and aggressive. A ruler that dresses every word with the clatter of chain and sword, the sound of guns and calls for hangings, in fact, tries to cover his/her own cowardice and weakness. Every ruler standing by violence and oppression is also a merchant of religion; nationalist cries are his/her capital. In order to understand why the ruling partners are resorting to attacking the opposition with venom and hatred, only ten days after the elections, we need to look carefully at the recent past. Regardless of what the figures say about the results; this is, in fact, the rulership of those who lost and are destined to lose. They lost because they did not form the “strong” parliament they imagined; despite all their aggression and resorting to all kinds of unlawful and immoral means, they could not cover up the dirty fight among themselves. On the contrary, they witnessed the birth of a movement of opposition, determined to continue the struggle and united on the ground. 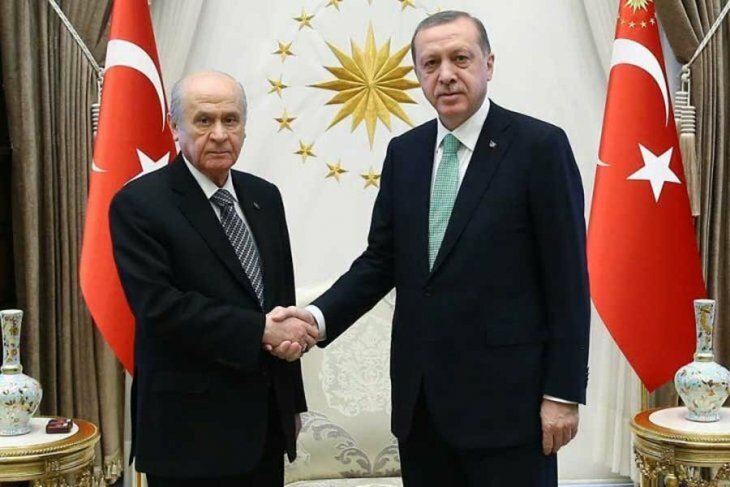 Let me remind you of some events that took place since the elections: Former deputy of CHP, Eren Erdem, has been arrested; Minister of Home Affairs Soylu forbade “participation of CHP organisations in funerals of soldiers”; HDP deputy Pervin Buldan was again threatened by Mr Soylu on the telephone. Especially with the threat that “Even CHP can’t save you this time…” Following this, the Governor of Sivas threatened those wanting to commemorate during the Madımak massacre (where 33 intellectuals were burned alive in Madımak Hotel in Sivas on July 1993), stating that they “will intervene if there are any slogans against the government or the President”. On the same day, another prominent news item in the papers added a new ring to the chain of threats and violence: new MPs in parliament belonging to the BBP (Big Unity Party) had ‘pulled their sleeves up’ in order to bring back the death penalty. The fact that the AKP dreams of ‘majority rule’ were dealt a blow by the HDP surpassing the electoral threshold, realised mainly by the votes from the CHP voter base in tactical voting, created a sense of great anger and a sense of defeat in the ruling bloc. They saw a base of a great alliance and they were afraid of it; they are right to be fearful. This united opposition indication is to the direction and tendency of continued democratic struggle. On the other hand, the rulership has taken its place in the driving seat with a fireball, in terms of economic direction, on its lap. The economy, already shaky and expected to go into crisis at any moment, is on the brink of deeper trouble due to the billions spent during the election. The rulership losers see oppression and violence as the only path. Anger, fear and chaos manifest itself in illogical arguments and extreme displays of religious and nationalist fervour. It is time to realise our own strength, get together, strengthen the tendency to unite and continue the struggle.